Welcome to our complete resources for learning about eggs. 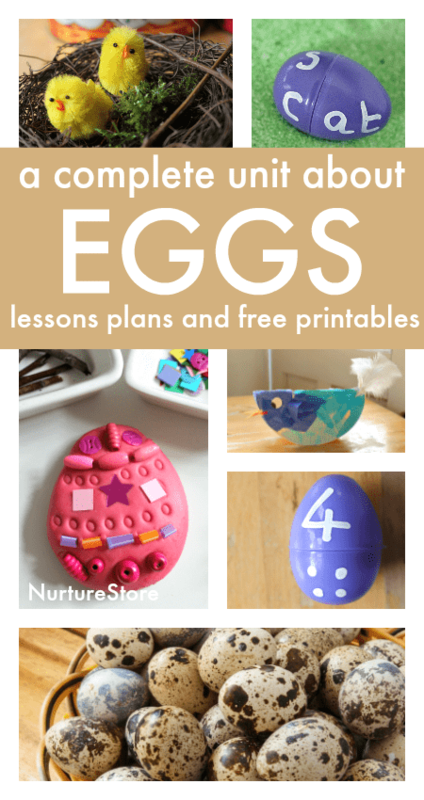 Here you will find egg theme lesson plans for spring including egg math activities, egg-themed sensory play ideas, egg science experiments and free egg themed printables. You can follow the full programme over the course of a week, or dip in and out, to suit your needs. In the third unit of my Seasons School Spring Curriculum our focus topic is eggs, and the birds that are laying them. We’re going to be decorating eggs, and using them in a recipe. We have a fun science experiment to make a bouncy egg, and we’ll be observing the birds around us to see what they are up to this week. We’ll also be using eggs in our play, and learning about them with a mini egg book printable. 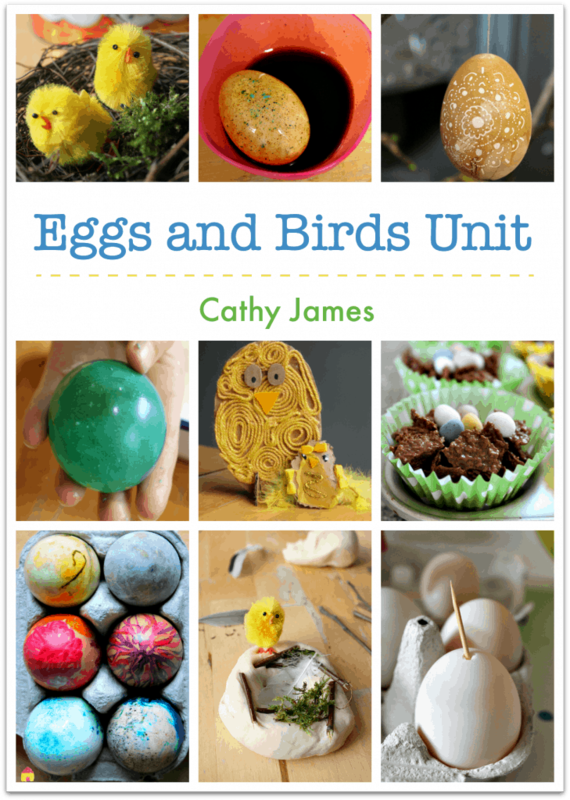 In the Eggs and Birds Unit of the Seasons School Spring Curriculum I’ll give you everything you need to teach a complete programme of hands-on, integrated learning for spring. Egg lessons: What is an egg? What is an egg made of? What happens inside an egg? Which animals hatch from eggs? Fun egg facts. Why are eggs so special to us? Get your copy of the Spring Unit here. You’re going to love this super useful resource! 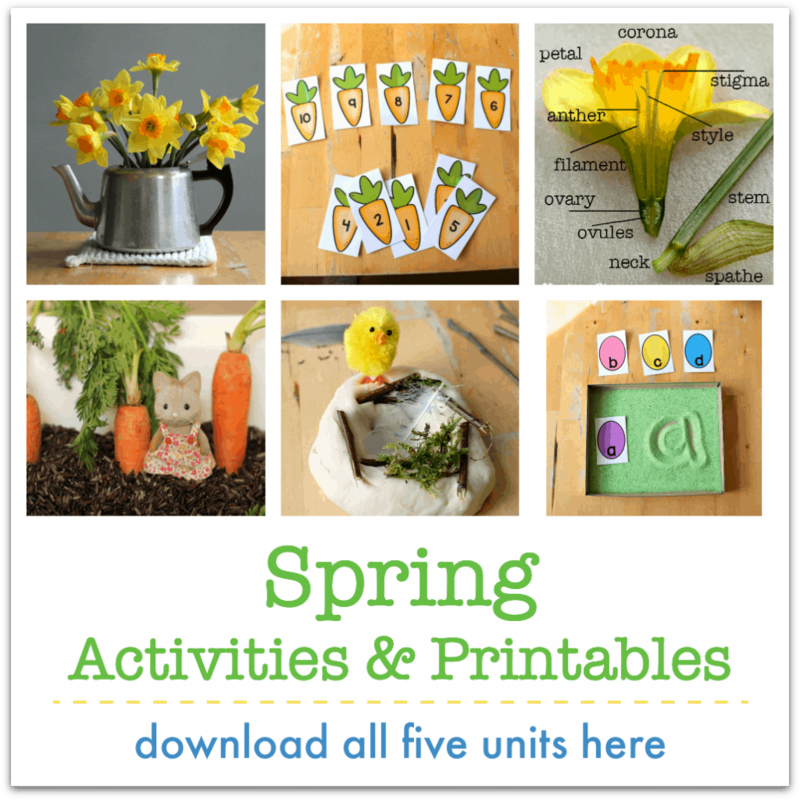 CLICK HERE to see more and get your spring resource kit.